Pietro is a native of Sardinia, Italy. He comes to Calvert Aquatics Club with over 10 years of professional coaching experience. In 2014, Coach Pietro had the opportunity to open a satellite team of the Piranha Swim Team, CA. After only one year of the teams formation, some swimmers earned top 16 rankings in Southern California, were selected for NACC (North American Challenge Cup), and made the Junior National qualifications. The previously 2 years, he worked full time as the Lead Senior Coach for Redlands Swim Team. Through his dedication in coaching, Coach Pietro successfully produced a number of top 30 nationally ranked swimmers who have represented Southern California in international competition. From 2006-2007, Coach Pietro held the position as Head Coach of the world renowned Forum Sports Center Swim Team based in Rome, Italy. While in Rome he worked with members of the Italian Olympic Team, World Championship, European Championship, and Italian National Championship qualifiers. Pietro swam professionally for 6 years, during which time he achieved top place finishes at the European Championships; also won various medals at the Italian National Championships. In 2001, he was ranked top 60 in the world in the 50m and 100m Freestyle events. He is a certified professional Athletic Trainer for top level athletes, and brings years of academic education having obtained levels of expertise in the area’s of stroke development and refinement, core, balance, mobility and functional training (i.e. fitball, aqua bags, kettle bell and TRX), efficiency improvement, and video kinetics analysis. Pietro implements his passionate love for the sport of swimming into his coaching style and is committed to the constant growth of knowledge and incorporating it into his coaching with enthusiasm, discipline, and compassion. Coach Michelle was a competitive swimmer for 13 years for Redlands Swim Team in her hometown Redlands, California. Every summer, since she was 13, she started started teaching Learn-to-swim and by 2008 her coaching career started. She has experienced coaching all age groups from Novice swimmers to Master Swimmers. 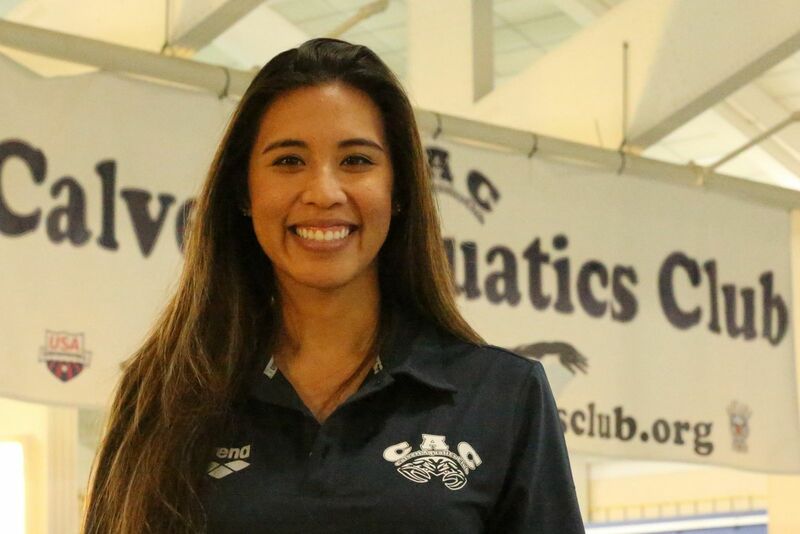 Coach Michelle has developed junior Olympic and Southern California top 16 age Group swimmers. In addition, she was an assistant swim coach for Beaumont High School for 4 years under her head coach/mentor Chuck Riggs, which by 2016 she transitioned to coach for PASS Plus Stringrays in Beaumont, California. While coaching, Michelle attended California State University San Bernardino graduating with a B.S. in Kinesiology concentration Exercise Science. Coach Jo is originally from Cazenovia, NY where she swam for her High School. In 1991, after graduation, she moved to the DC area after landing a job with the Department of Defense. 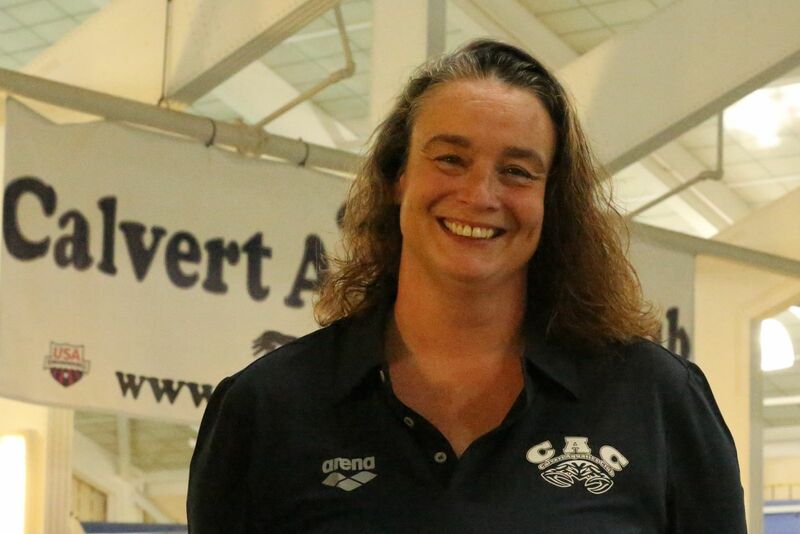 Jo comes to CAC with a wide range of coaching experience from Summer swimming to the USA Level. She has coached Indian Head Swim Team for a total of 17 years, 15 of those years as the Head Coach. She has coached the Lackey High School Swim Team for 5 years, deciding to step aside this year to follow her daughter Rebecca’s senior year at Northern High School. 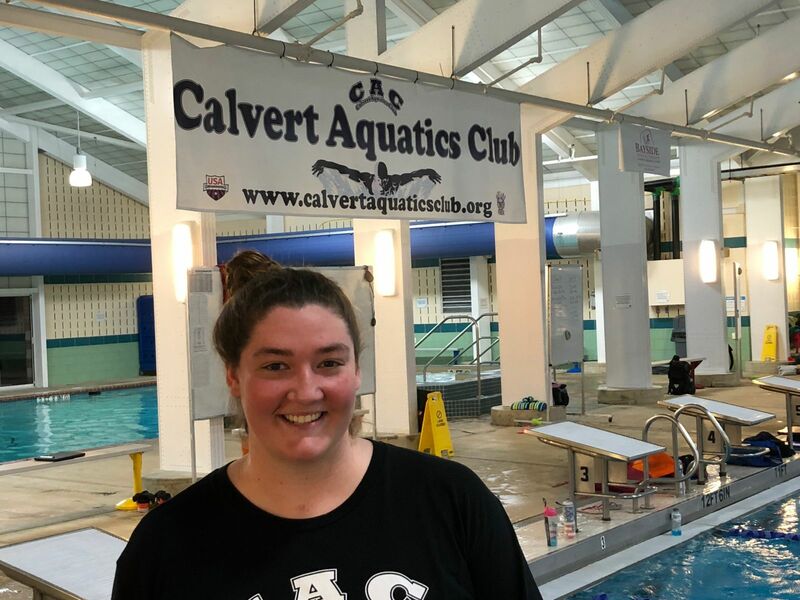 Jo coached the Lackey Swim Club for the Charles County Department of Recreation and was an age group coach for the USA swim team Potomac Raiders for two years. Coach Jo currently resides in Chesapeake Beach with her two daughters, Rebecca and Katherine. Julie recently moved to Maryland from Durham, New Hampshire. She began swimming competitively at the age of 10. At 12, she joined Seacoast Swimming Association. She swam for Seacoast throughout high school while also being a part of her school swim team. While already swimming over 20 hours a week year-round, Julie attended high school team practices as well to help teach her peers proper stroke technique. Julie was ranked Top Ten in New England and has seven New Hampshire State Titles for High school swimming. Throughout her swimming career, she taught lessons to young swimmers on her club team. She also helped coach the NH Special Olympics annual swim meet that was held at her Club Pool. Being at the pool makes her feel right at home, where she can share all the great things she has learned throughout being a competitive swimmer, and many years of teaching.